An Australian support group for families of air crash victims has appealed for help in trying to figure out whether a number of personal items found on a Madagascan beach are from missing Malaysia Airlines Flight 370. American lawyer and adventurer Blaine Gibson, whose self-funded search and research mission has yielded several suspected pieces of the Boeing 777 already, found the roughly 20 objects -- including bags and clothing -- on the same beach. He told the BBC that he found the items earlier in June, and admits there is nothing obvious about them that links them to the flight believed to have plunged into the Indian Ocean on March 8, 2014, with 239 people on board. "They may have just fallen off a ship," Gibson conceded to the BBC. "Still, I found them on the same 18 kilometer (11-mile) stretch of beach where I found suspected aircraft parts of the Malaysia Airlines jet. So, it's important that they are investigated properly." 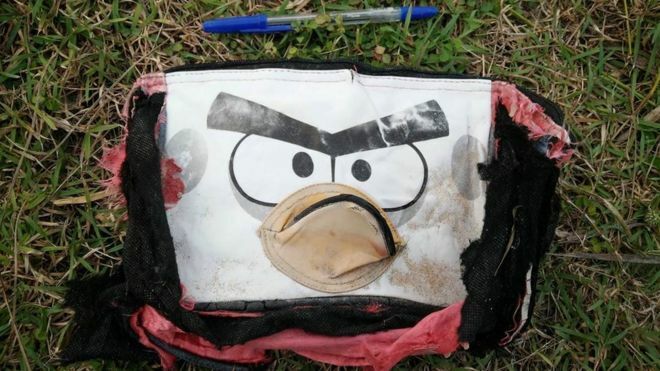 Gibson provided dozens of photos of the items to the non-profit Aircrash Support Group Australia, which posted them on their website with an appeal to MH370 family members to try and identify loved ones' belongings. The items range from suitcases and handbags to children's accessories. Many of the items are heavily damaged. Earlier this month Gibson handed several pieces of apparent aircraft debris, including seat parts, over to authorities. Sources said they appeared to be from a Boeing. In February, Gibson found debris off the coast of Mozambique that experts later determined did come from the missing Boeing 777. Flight 370 is believed to have crashed somewhere in a remote stretch of the southern Indian Ocean about 1,100 miles off Australia's west coast. An ongoing search of a huge swath of the ocean floor has yielded nothing so far. Authorities had predicted that any debris from the plane that isn't on the ocean floor would eventually be carried by currents to the east coast of Africa.